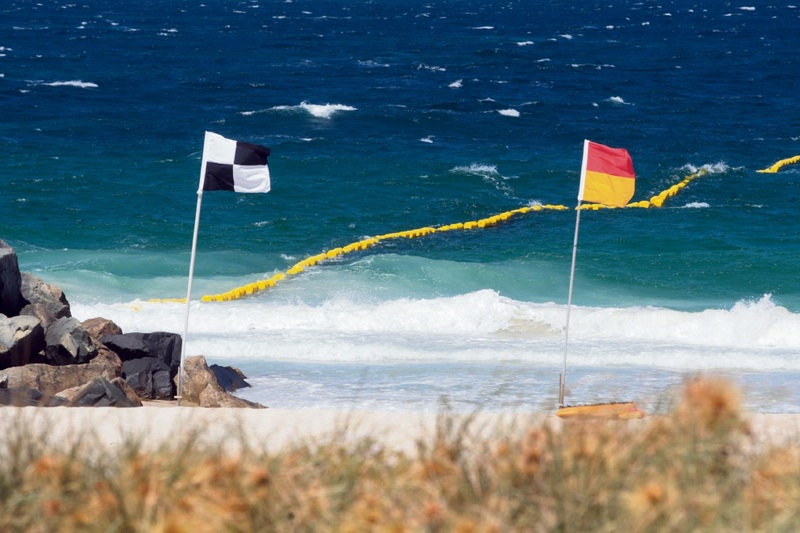 HERE’S Perth’s first look at the shark barrier designed to keep swimmers safe at Sorrento beach this summer. 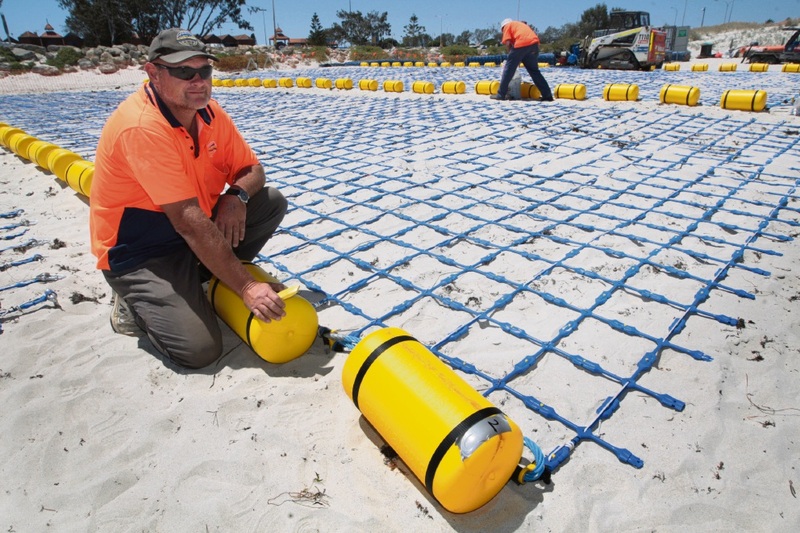 Kingsley-based Eco Shark Barrier has spent the past couple of weeks installing it between the Hillarys Boat Harbour sea wall and a groyne at a depth of mostly 7.5m. Did designer Craig Moss encounter any sharks during the project? “No, but there was 3m shark harassing some divers about 100m away when we were putting the anchoring system in,” he said. The Sorrento barrier is his second since building one at Coogee about two years ago. “I learnt a few lessons from Coogee and this job went very smoothly,” he said. The $910,000 City of Joondalup project was agreed to in May, with $400,000 provided by the State Government. The 660m-long barrier is made from nylon, with a clip-together interlocking system hung between a nylon float line on the water surface and an anchored line along the seabed. Meanwhile, the installation of City of Wanneroo’s shark barrier at Quinns Rocks will start next month. Global Marine Enclosure’s $420,000 barrier is scheduled to open by the end of the month. Following consultation with Quinns Mindarie Surf Life Saving Club, the southern end of the barrier will be installed 10m from the concrete beach access ramp and extend 300m to the north and 85m offshore from the water line.